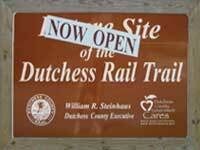 Parts of the Dutchess Rail Trail in Dutchess County are now open for your enjoyment. For more information CLICK HERE . Please be courteous and considerate of others. Announce "On Your Left" then pass with care. This is a "Carry In/ Carry Out" park. No Littering. No hunting on trail property. 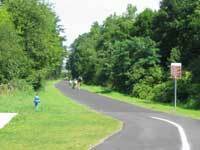 Report any incidents to the Dutchess County DPW at 845-486-2900.